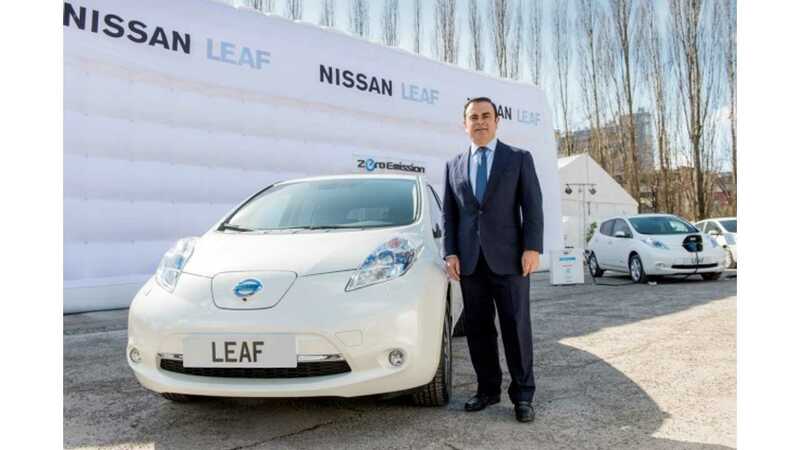 Obligatory CEO with Vehicle Image...Ghosn Says Future Renault-Nissan EVs Will Be Like LEAF by Not Featuring Battery Swapping. We've recently documented the struggles faced by battery-swap specialist Better Place, but the latest from Renault-Nissan CEO Carlos Ghosn suggests the Better Place model is likely on its way out. According to Energi Watch, CEO Ghosn is none-too pleased with the lack of success of the battery-swap-capable Renault Fluence Z.E. Ghosn says that sales of the Fluence Z.E. (roughly 2,000 units) pale in comparison to the non-swap-capable LEAF. This, says the CEO, is most likely due to the lack of interest in swapping out batteries and to Better Place's failing business model. "When you look at the overall trends, we must conclude that the replaceable batteries no longer the main track for electric vehicles. 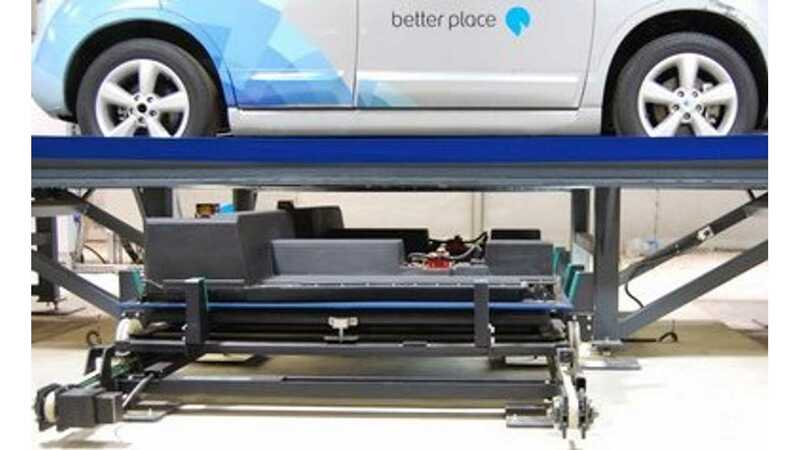 The main trail is flat batteries in cars with charging. We believe that people want flexibility in the technology, and we can see that demand is rechargeable standard batteries." But it's the lack of sales of Renault-Nissan Group's only swap-capable vehicle, the Fluence Z.E., that has convinced Ghosn that, going forward, the Group will no longer focus on offering this capability on its electric vehicles. It was only a few years ago that Better Place had unbridled optimism about battery swap technology, and may have influenced Renault to also get ahead of themselves by producing the Fluence electric swap cars. 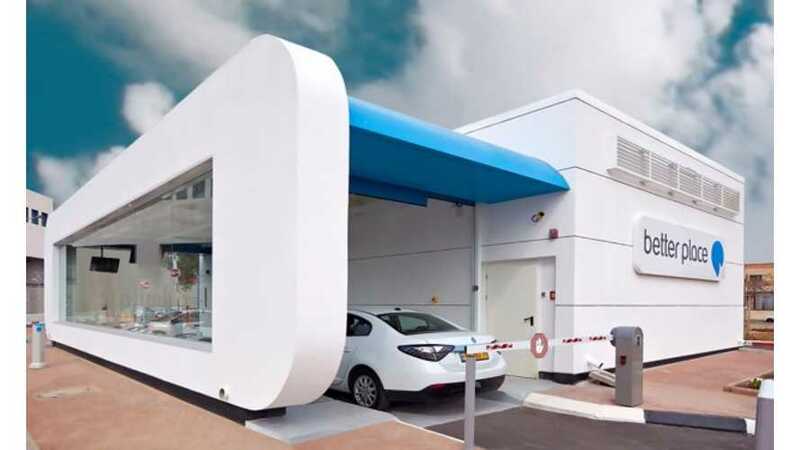 In 2010, then Better Place CEO, Shai Agassi told the press (video below) that his company had "...placed an order for 100,000 cars with Renault, (and) it is the first mega deal for electric cars in history." The CEO also added, "There has not been a car since the Ford Model T that has been sold at a volume driving on anything other than gasoline." As of the last available update we could find, Better Place was no where near following though on purchasing 100,000 units, having sold only about 1,000 Fluence swap sedans since inception. Honestly, the logistics behind battery swapping were always questionable. In theory, it make sense, but in practice, it seems far too difficult to ever successfully pull off. Video below - Shai Agassi announces the "order for 100,000 cars with Renault" (0:55) to the media in Frankfurt Germany in 2010, as well as offers some other over-optimistic projections, such as 50% of all cars where Better Place operates will have switchable batteries by 2020 (6:38).